IT may be Australia’s most famous wine region but the Barossa also attracts people looking for picturesque villages, delicious gourmet food, outdoor fun or a romantic escape. 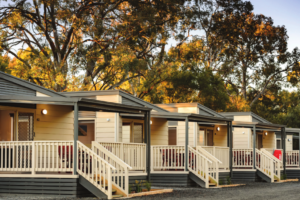 With a broad range of accommodation, much of it surrounded by the region’s iconic vineyards, the Barossa has something to meet your needs. Choose from world-class hotels, friendly bed and breakfasts, historic cottages and luxury lodges, all of which provide the perfect base from which to explore everything this gorgeous place has to offer. 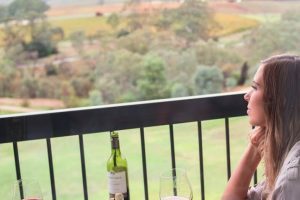 The Barossa’s appeal as a tourist destination and weekend retreat is rapidly increasing thanks to the cooking schools and a host of outdoor adventures including helicopter and hot air balloon rides. You’ll be consumed and never want to leave with everything the Barossa has to offer. Visit the Barossa Farmers Market where you’ll find passionate local producers showcasing their fresh produce. Spend the day discovering the historic town of Kapunda or hire a bike and follow the 40 kilometre Barossa Trail from Gawler to Angaston. Take a tour of Seppeltsfield Road, home to 16 wineries and a range of fine dining options including Appellation and Hentley Farm.